I worked at RBS for almost a decade. During my nine years at the bank, I got the opportunity to work with very talented and smart people, and I learned a lot. I want to use this opportunity to summarise some learnings and experiences that I encountered during that time. Large Organisations, like traditional banks, are like big ships, hard to get going, require an enormous amount of energy to move and a long distance to stop. When it finally departs, it’s impossible for it to quickly and swiftly change the direction. The organization is on the constant lookout for problems far into the horizon, to be ready for a direction change maneuver. Finally, if unexpected happens, just like the Titanic, the ship will not be able to avoid the obstacle and will crash into it. Make a mental note as this will impede decisions and choices you’ll have to make. I’ve seen people make irrational decisions, sacrificing Software quality and Customer Experience for the sake of delivering to deadlines. Deadlines quite often self-imposed, making no commercial reason. Those decisions were driven by localized targets, imposed by line managers. Values that the organization pursued, the good of customer was forgotten because the way performance was assessed, was against the targets. The result was a poor quality software, delivered at a high cost, and at the end had to be scrapped and re-written. Beware of personal targets as those are often in direct opposition to organization vision and objectives. I’ve seen and been working in the hugely successful teams. Teams were focused, creative in solving problems and very productive. Motivation was high as well as team satisfaction. What was common for those teams was the autonomy in solving a clearly articulated problem they were given. When you hire smart people, give them problems to solve, guide them in organization intricacies and help get the resources they need to solve problems but don’t tell them what to do (don’t micromanage). Creating a team of specialists (for example DataPower developers), co-locating them in one place and offering their skills as services to delivery teams via the ticketing system is a recipe for disaster. Something that makes sense from the accounting point of view doesn’t work for agile teams that are building software. Again, localized targets for Shared Service teams are never aligned with the vision for product teams. I’ve seen the countless amount of open-source frameworks and tools wrapped in a “thin” wrapper, offering the “same” functionality as the original. In reality, central platform teams started with good intention but hardly ever had the time, resources or expertise to deliver the promise. Avoid re-inventing the wheel, instead of wrapping try to integrate and use extension mechanisms. Leaders inspire people to take actions; managers help people to overcome obstacles and deal with distribution of work. It is possible to be a great leader but at the same time a terrible manager, and the other way around as well. During the nine years, I’ve not met a single Great Leader who was a great manager as well. I believe that in a large organization this happens due to a simple lack of time to perform both roles well. Beware of giving Leaders the responsibilities of managers. They might do a mediocre job at both instead of great at one. Distributing work on a single product creates communication overhead. For example, scaling one team into two teams creates the illusion of doubling productivity. In reality communication, teams synchronization and integration overhead will only yield a fraction of improvement. Introducing new teams, distributed across different location only amplifies the problem reducing improvements further. When scaling for improved productivity, first look into augmenting existing team and fixing all issues in the delivery process to achieve a smooth flow of work. Agencies and Consultancies like to deliver software or services on their terms. The typical sales pitch will mention how beneficial it is for the customer and how productive they can be. The only problem is that quite often after the engagement is done, resulting work doesn’t integrate, is build with incompatible or problematic technologies or lacks on quality. When choosing vendors, make sure to have a set of requirements ready, including technologies to use, ways of working (e.g., integrate early and often), engineering practices and quality standards. If you hear questions related to the above list from the vendor, it’s a good sign, but don’t take anything for granted. This point is the expansion of the previous mark of Distributing work. If appropriate software architecture, engineering practices, and delivery pipeline are not in place, the resulting product will lack in quality and cohesive solution. Multiple teams will try to isolate itself via designing architecture and solutions that make it possible for them to work in parallel in relative isolation. This time it’s a Convey’s law applicable on the micro level. If you need to move faster, first try to optimize your delivery process before looking into scaling. Majority of issues that arise during software development have very little to do with technology and are associated with people relationship and communication problems. Bad communication leads to missed requirements and invalid assumptions. Make sure to validate all the assumptions early and keep revisiting information you gathered. When you have all the requirements, keep on going back to the Product Owner to confirm that what you are building is the right thing. More importantly, if it is still needed. Above are just some of the lessons I learned. I will use this knowledge at the new organization I just started work. I think that the above might provoke some thinking for you as well as re-affirm the lessons learned for me. A couple of months ago I finished reading the book “Start With Why: How Great Leaders Inspire Everyone to Take Action” by Simon Sinek. Simon’s presentation at TED in 2009 was viewed more than 41 million times. He was invited to consult on Leadership for Microsoft and the United Nations. I would like to share with you a few observations and thoughts after reading the book. Both manipulation and inspiration are methods of making someone take action. Manipulation creates short term result. For example, if a company decides to use manipulation in their sales and marketing approach, like a price reduction, the result will be a temporary increase in sales but it will not build brand loyalty. Try to remember last time when the reduced price of a product made you become loyal to a brand. On the opposite site of manipulation is the inspiration. Brands that inspire have a loyal group of followers who will always buy a product of said brand. This happens as the followers associate themselves with the values that represent a specific brand. When it comes to leaders in organizations and companies, those who inspire will benefit from loyal and hard-working employees. So how does one inspire? Simon explains that inspirational leaders and organizations all act and communicate in the same way. He calls that pattern of communication, The Golden Circle. What it means is that communication happens from the inside out, starting with answering the “Why?” question first. Why leaders do what they do and why organizations make what they make. An answer to this simple question communicates the reason for actions, it demonstrates what someone believes in. People get inspired by others who believe in the same things. As it turns out, humans have a very strong need to feel that they belong. It is one of the most powerful feelings, feeling based on gut. We feel that we would like to belong to a group that shares the same believes as we do as. The feeling of belonging makes us feel safe. We are drawn to organizations and leaders that are good at explaining what they believe in. The part of the brain responsible for emotions and feelings is called a Limbic Brain. That is not the same part of the brain that is responsible for language. That is why the gut feeling, the feeling of “Just right” is hard to dress in words and explain. Great organizations are built on the foundations of The Golden Circle and look like a Cone. The Why? element of the cone includes the leader who sets the vision. Finally, the largest part of the organization are the people who bring the vision to life by building the What? The book itself is a great, thought-provoking read that I would recommend for anyone. It does explain how and why people are drawn to certain organizations and leaders. Inspirational organizations and leaders know the answer to the question “why?” and they clearly communicate their beliefs through their actions. Inspiration creates the long-lasting effect of loyal followers or employees. If you find yourself not having enough time to read the book, have a look at Simon’s TED presentation. It focuses on the core ideas of the book. I recently posted a one-liner on LinkedIn, that attracted a great deal of interest and thought-provoking discussion. In light of the comments and queries, I decided to expand on what I mean by Fixing DevOps and failing at it. First, let me start by explaining what was the trigger to write the line. As a Head of Software Engineering I have been targeted by Sales representatives attempting to sell software products and software development services for quite some time now; a few days ago I received yet another email promising to Fix all the DevOps headaches we might have and change our company to become a DevOps Nirvana if only we would to bring them in. I have been working in the financial sector for 9 years and witnessed a number of times promises that hardly ever been delivered on. I know that my industry colleagues have had similar experiences. Thus, the above one-liner shared on LinkedIn, was born. Historically, the organization I work for had nothing to do with technology. Banks offered financial services for centuries without the use of Software. Computer systems and software were adopted in the 60ties. The technology was used as an aid to business, means of making money easier and faster. Today banks would not exist without IT systems. There is more virtual money in the economy than tangible assets. In many large organizations, technology is still looked at as an afterthought, the necessary evil that has to be dealt with in the most cost-effective way possible. Latest advances and innovation are hard to introduce. New technologies and processes are adopted at a much slower pace than technology focused organizations like Google or Amazon. Large and complex organizations can’t exist without modern technology as well as technology makes no sense without their core business. The truth is, both sides have to work together but in reality, the way organizations are constructed prevents it from happening. Technology is siloed into one organizational unit and business into another, each with its respective leader. Technology becomes a service organization for business. Local goals emerge, driven by local targets resulting in both organization pulling into different directions and the customer finding little to no improvement. I observed the following pattern in the history of DevOps adoption with the involvement of technology leaders at different organizational levels. Tools become the focus area of proposed improvements as organizational changes are too problematic for A Leader. Consultancy begins the new engagement, ramping up resources and bringing in new tools. The process of “fixing the DevOps” in the organization starts. A Leader chooses a small area of Organization to roll out new approached and tools. Neither the consultancy nor small area of Organization has enough remit nor possibility to influence any organizational changes, resulting in: consultancies automating a few basic processes, leaving behind a large backlog of future/unfinished work and a hefty bill. Small, local improvements make little impact in the large organization. The experiment is deemed as a failure and adoption stops (until next Leader arrives or a good sales strategy from different consultancy). Many DevOps consultancies are selling The Dream, utilizing template case studies based on the size of targeted organizations, rather than being tailored to individual requirements of said organizations. Challenges posed by organization structure in DevOps adoption are overlooked during sales negotiations. Resulting engagement creates an invalid perception of DevOps as not being fit for purpose, causing more damage than good. 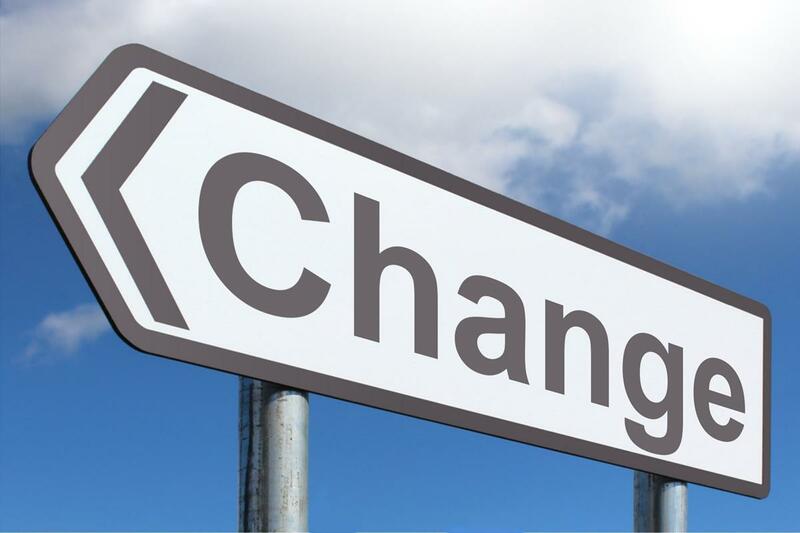 The truth is that for any change to be successful, creating long-lasting effect the initiative has to come out from within, driven by ‘outside the box’ approach. I started my career in software development 30 years ago. I was 9 years old when my dad bought me my first computer. In post-communistic Poland it didn’t come by easy. After weeks of going through local paper adds, he managed to secure one from a post graduate student. I became a proud owner of Atari 65XE. As it was just a computer with no persistent storage, I had no other choice but to type in programmes myself. Initially I was copying listings for games and other software from Computer Magazines. After a short while I picked up a book on Basic and learned my first programming language. Fast-forward few years later I finished my Master Degree in Computer Science and started my first job as a Software Developer. I progressed my career through variety of industries and technologies. At some point, I started to lead a team of developers. It was the first time when I encountered the important learning: becoming a leader means that I needed to “Let it go” . The “It” depends on context and leadership level, which I will come back to later. As well as discovering that I had to “Let things go” I also discovered that I was not very good at it. When I started as a young tech lead on a team, I fell into following traps: trying to write code 100% of the time and making all the technical decisions myself. Coding 100% had undesired side-effect, I was left with no time to think about software architecture and technical vision. Similarly, trying to make all the technical decision left me becoming a bottle-neck, stretch my time thin, resulting in demotivating the team. Fast-forward, few years later I was responsible for multiple teams and fell into similar traps: being involved in all the technical decision making, while still trying to write some code and being a developer. As a result I had no time to write code and became unreliable team member who couldn’t dedicate time towards product delivery. I was also even bigger bottle-neck as now I was stopping multiple teams in progressing. Finally, I was not contributing towards wider organisation architecture and technology strategy as I had no time left for it. However, recognising an issue is the beginning of a “therapy”. After reading an excellent series of Pat Kua’s articles on Leadership I discovered that I need to “Let go” of my current approach. But … letting go is never, EVER, easy. Why is it so hard for humans to accept change and “Let it go”? It’s because our brains are pre-programmed with recognising patterns. Early human had to fight to survive. Every change in the environment meant unexpected consequences, at time resulting in death. Diverting from common patterns causes stress. We don’t like stress and that is why we are staying in a comfort zone of what we know, as we’ve been doing it before. It feels safe. Starting point is to accept that the change is inevitable. Trying to do all the same things as before plus dealing with new responsibilities is not going to work. You will drop the ball on one of them sooner rather than later. Next step is to identify what you need to change and “Let go of”. For me change in the tech lead role meant initially that I had to stop coding all the time, learn how to delegate, reserve time to think and visualise technical vision. After moving to another leadership level I had to learn the language of the business, how to communicate well and delegate even more. Most importantly I had to accept the fact that I will no longer be the Subject-Matter-Expert in all aspects of the Platform, Products and Architecture but my new responsibilities include driving the vision forward. I found that talking with my manager about ideas and changes I was introducing helped me a lot. That is why finding yourself a mentor or a coach is helpful during the process. Finally, there are things you can do to train you brain to accept change easier, it involves cognitive training. Things like brain games, learning new languages or taking up a task that is not in your comfort zone. All of those activities will flex your brain muscles, helping you adjust to new circumstances introduced by change. Wether it’s leading the team or organisation, leadership is about vision. Organically grown leaders are often falling into traps of sticking to their previous behaviours and patterns, sacrificing their time and forgetting about the vision. We need to “Let go” of the old habits and accept the change, resulting in a clear vision for team/organisation to follow and more productive and efficient teams.